Come and visit a truly amazing project and the world’s largest sculpture now in progress. 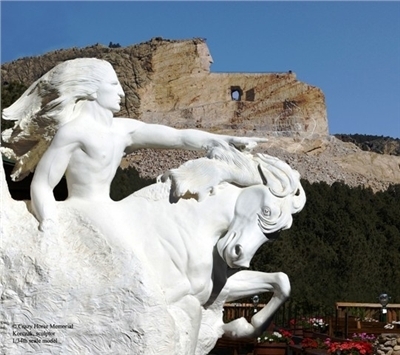 Crazy Horse Memorial is located in the Black Hills of South Dakota on US Highway 16/385 just 17 miles southwest of Mount Rushmore. The work was begun in 1948 by sculptor Korczak Ziolkowski at the request of Native Americans. It is open year round and features the Indian Museum of North America and the Native American Cultural Center.